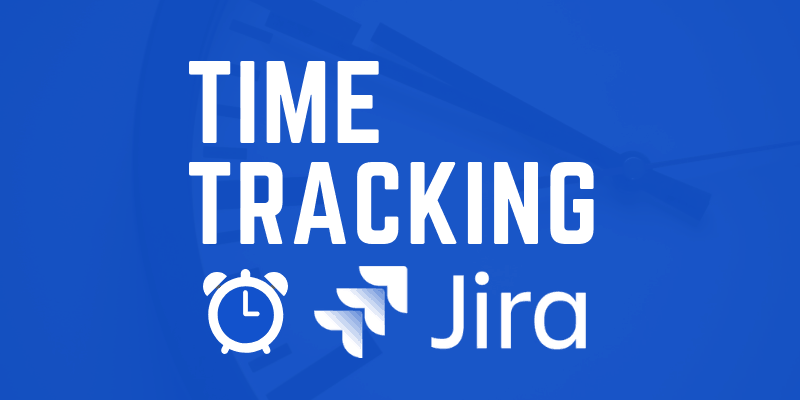 In this comprehensive guide we’ll discuss best practices, tips&tricks, Jira add-ons, configuration and everything else there is to know about Jira time tracking. You may think you know how you spend your time being productive completing your tasks in Jira. But you might be surprised. Unless you’re tracking time minute by minute you can’t really know. Remember, what isn’t measured, can’t be improved. After all, if you’re not measuring, then you can’t know if changes make the situation better or actually make them worse. Besides, if you’re not tracking targets, you can’t see how far your team is meeting deadlines. Simply put time tracking, in conjunction with the measurement of results, is critical for optimization. On a side note: Although time tracking is very powerful. I do not want to make it sound like it is the only tactic to improve performance. Additional tactics worth a mention include being results driven, measuring the number of tasks completed before deadline, etc. Time tracking is particularly important for agile software development. And while not all Jira users follow agile, plenty of agile dev teams absolutely love Jira. The reason why time tracking is important in agile processes is that time tracking allows for triangulation. One of the most difficult tasks for project managers is to come up with realistic estimates. Using time tracking, in addition to other statistics (such as story points), you can compare tasks with similar jobs completed in the past. And hence calculate far more accurate deadlines. Furthermore, you can absolutely automate time tracking (for example by using apps). This can take the hassle of logging off developers’ shoulders by creating a record without requiring manual inputs. That allows them to get on with their work without interruption. To note: marshaling a team to track time effectively can take time. And gamification techniques can be particularly effective in winning individuals around. Here are a few examples of specific situations where time tracking can come in useful in Jira. To generate timesheets and customer invoices. And connect to payment processes for both clients and contractors. First things first, time tracking is enabled by default in Jira. Note: You’ll need to be an admin to take all of the following steps. Note: disabling time tracking, will not delete any existing data on your instance. 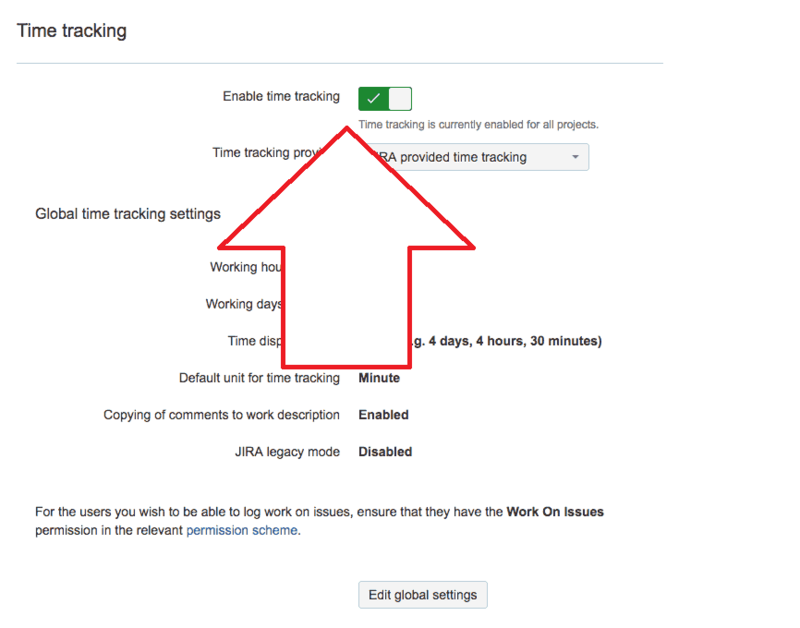 Before editing the time tracking settings in Jira, time tracking must be disabled. You can check this using the steps described above. Note: Don’t forget to re-enable it once the desired changes have been made. Once time tracking is off, you can edit the associated settings. And again, once finished, do not forget to turn time tracking back on! *Legacy Mode: By default, Legacy Mode is disabled if you installed Jira 4.2 or later without upgrading from an earlier version. However, if you upgraded a version prior to 4.2, it will be enabled by default. With Legacy Mode disabled, users can change the ‘Original Estimate’ value irrespective of work recorded on an issue. If it is enabled, however, then users can only update ‘Original Estimate’ until work is logged on the issue. And it can not be changed after this point (unless all logs are deleted). Additionally, if enabled, then changing the ‘Remaining Estimate’ in a workflow post function will also clear the ‘Original Estimate’. You may also need to configure Work On Issues permissions. From the ‘Time Tracking’ settings page, click the ‘permission scheme’ link to reach the ‘Permissions Scheme’ page. Find the permission scheme associated with the project that you want to edit and click the ‘Permissions’ link. This will take you to the ‘Edit Permissions’ page. Once there, you can review the users, groups and project roles that have permission to ‘Work On Issues’. If you’d like to add users, click the ‘Add’ button in the ‘Operations’ column. Work on issues: The user is able to log work on an issue (for example, creating a worklog). Delete all worklogs: The user is able to delete any worklog entries (even if they didn’t add them). Delete own worklogs: The user is able to delete their own worklog entries. Edit all worklogs: The user is able to edit any worklogs (even if they didn’t add them). Edit own worklogs: The user is able to edit their own worklogs. If you want to use a time tracking app, then once it is installed you can set it up from the ‘Time Tracking’ settings page. These are the simple steps to creating a time tracking report in Jira for a specific project. Which is available as standard in Jira. Go to ‘Reports’, then ‘Forecast & management’ then ‘Time Tracking Report’. ‘most completed issues’ – which have the lowest Estimated Time Remaining. You can then select which Issues should be included in the dropdown. Including ‘All’, ‘Incomplete’ (excluding completed and non time-tracked issues). ‘Include all sub-tasks’ (which includes all sub-tasks, regardless of version). Tempo Timesheets is “the” premium app that sets out to take the pain out of time tracking. Making the process fast and easy. And allowing teams to choose from multiple options on how to track time. The app allows: managers to create granular reports, to quickly approve timesheets, individually or in bulk, to drill down into time spent data by client and to manage project teams by role, capacity, workload and holiday schemes. And much, much more. The Pivot Gadget, from iDalko, is an advanced reporting tool which allows you to quickly visualise key information. Effectively, the app provides business intelligence capabilities within your Jira instance. It is useful for quickly creating cross tabulations across a long list of dimensions and measurements. Work Time Calendar allows you to plan and track time from a calendar view, working with configurable timesheets. The app also comes with start/stop timers and allows you to lock periods of time and to generate and export customizable timesheets. Time Reports provides flexible time tracking and reporting of time spent on Projects, Epics and Initiatives, broken down by Days, Users and Issue Statuses. The app also allows you to pivot by users and status and to create pie charts on time spent. 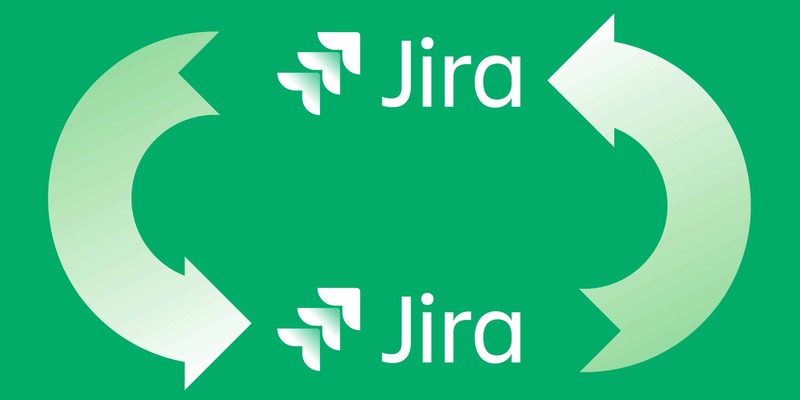 Note: More about how to use Jira can be read here. With this information in hand, you should have complete transparency on how your team is spending their time. And where they are getting unexpectedly bogged down. Time tracking can also power effective resource allocation. And it allows you to make better estimates of how long tasks will take in the future. It also allows you to remain results-orientated in real time and to retain focus. Now, back to you. 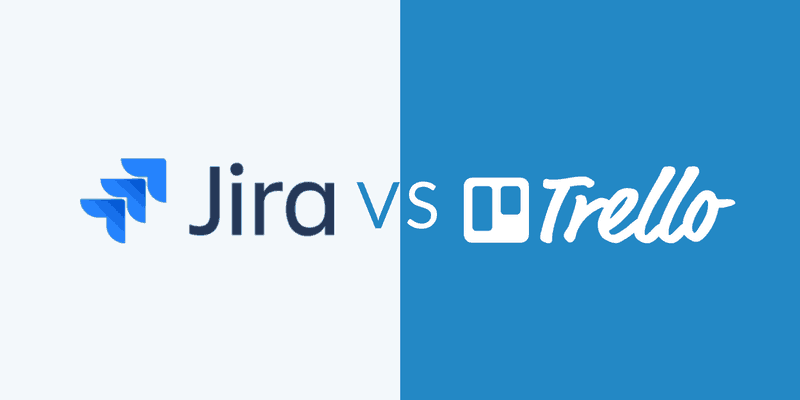 What are your thoughts on time tracking functionality in Jira? Do you have any experience with apps? Do you know other apps that might be helpful? Any tips & tricks to share? I’d love to hear it! Share your thoughts in the comments below.